I love to decorate in country or primitive country decor so I decided to start making some things! I recently did a craft show in Pine Grove, PA and revealed some of my creations there. These are some of the things I've started making. They can be ordered!! The Quilted Bag is going to be at the Autumn Stroll Craft Show in Pine Grove, PA tomorrow, Saturday October 15th from 10-4pm. Please come and check out what I've been working on and see the new "country creations" I've been making out of homespun fabric! Can't wait to reveal my new projects to you all! I'm sorry I haven't been posting new bags, I just realized it's been since May that I've posted! I guess being a mom of 4 busy kids has gotten in the way! :) I definitely have been making new bags just need to get around to posting them. 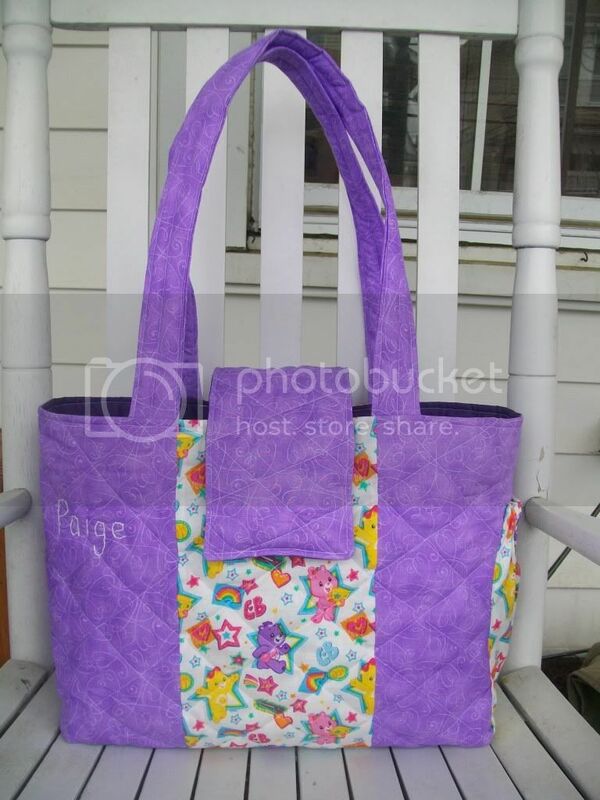 Please be sure to check out my facebook fanpage, The Quilted Bag by Casey Turner! I update that all the time. Apparently Care Bears are still popular! Who knew!! 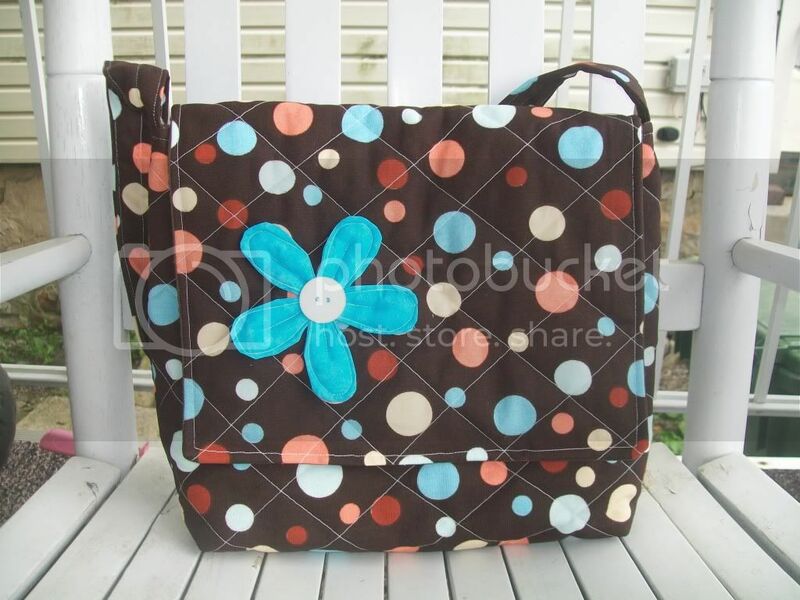 This bag was ordered as a gift the customers friend who loves Care Bears and is expecting a little girl. The babies name, Paige, is hand embroidered on the bag. 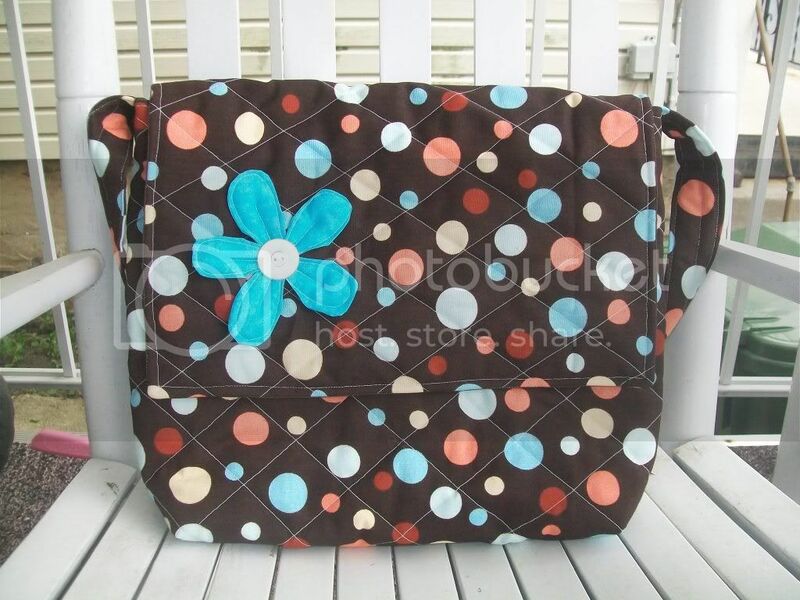 The first bag is a normal sized messenger and the second is a small messenger bag. I didn't use this fabric in awhile, it was nice to break it out again.